You’re in the planning stages, navigating that slippery slope between starry-eyed betrothal and a wedding’s obligations and expectations. Those of you who have always dreamed of your wedding in your hometown, surrounded by tradition, will find great comfort and presence in forging ahead with those plans. Others of you, however, envision creating a world away in a remote spot, where you’re in charge of the timeline and the size of the guest list naturally limits itself. 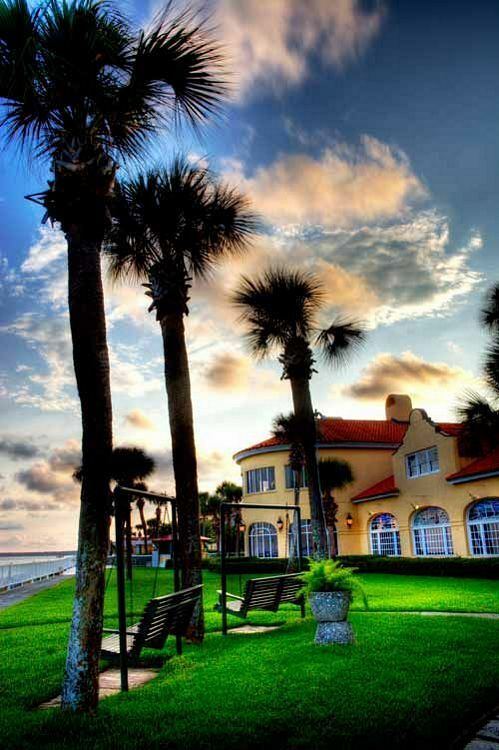 If you find yourself in the second group, consider a destination wedding venue at the King and Prince Beach and Golf Resort on St. Simons Island, just off Georgia’s coast. Pictured above, the resort’s front lawn provides the perfect spot to gather with family and friends for a casual reception or to meet before venturing out to discover the island’s delights. Surrounded by friends, family, nature, history and the pounding surf, you’ll create your own traditions………..which can include, by the way, annual reunions on your anniversary at the King and Prince! Tags: Destination Beach Wedding, Destination Weddings, St. Simons Island Weddings, Why Choose a Destination Wedding? This entry was posted on Monday, November 12th, 2012 at 10:32 am	and is filed under Weddings. You can follow any responses to this entry through the RSS 2.0 feed. Responses are currently closed, but you can trackback from your own site.